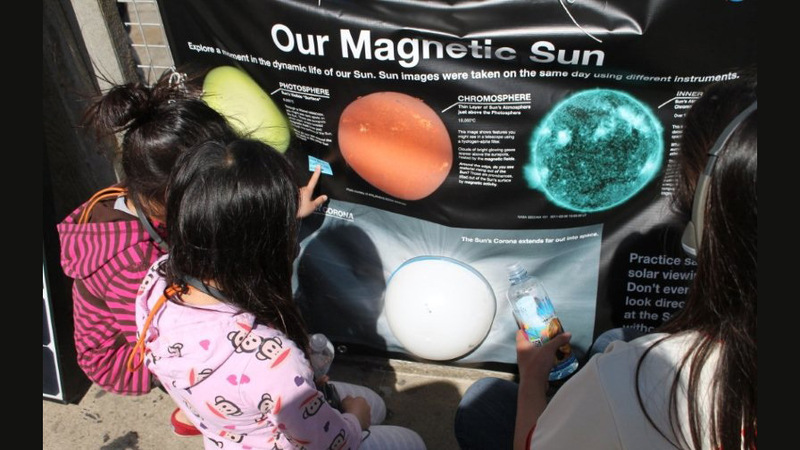 AFGU Educator Elana Garfinkle using the Our Magnetic Sun TooKit to help teach visitors about the Sun. We currently offer nine Outreach Toolkits to Night Sky Network member clubs. We have had many updates over the years: new kits have been created as older ones have run out. The NSN program ships outreach toolkits on a quarterly basis to qualifying member clubs. To qualify, member clubs need to report on at least two events per quarter (every three months) that are marked as having used toolkits or other NSN or NASA resources. The reports should be submitted using the "Event Log" system accessed via the NSN website. If our records indicate that a club has received every available kit, the club may qualify for a "refresher" set of materials. 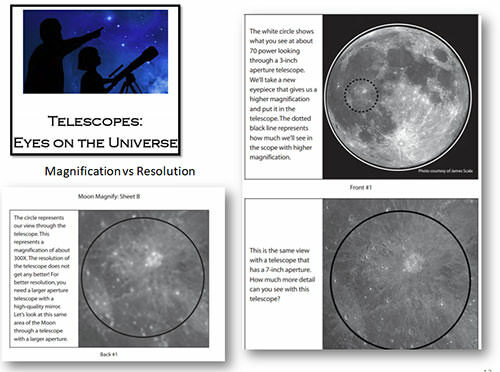 Please note that past Outreach Toolkit resources are still available on the Night Sky Network website in digital form, and will continue to remain available to everyone to download and use as they are able. 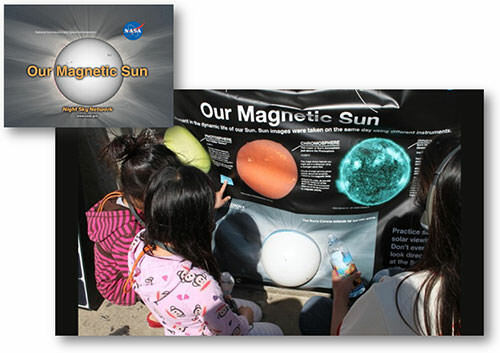 This ToolKit provides activities and demonstrations that explore the Sun and its powerful magnetic fields, how these fields generate the features we observe, and how the Sun's magnetic activity affects our way of life and technologies here on Earth. Aliens are a favorite topic for many visitors to public astronomy events. This ToolKit is designed to take science fiction questions and direct them toward scientific facts and exciting new discoveries being made in the search for life outside Earth. Two of the most misunderstood concepts in astronomy are distance and scale. Related to those are the difference between the Solar System, the Galaxy, and the universe. 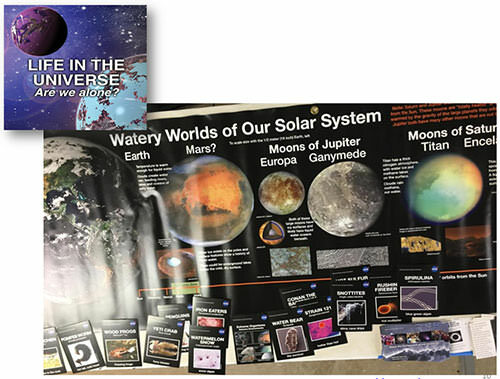 This ToolKit consists of activities and resources that are designed to help your audiences visualize the basic structure and organization of our Galaxy and the rest of the universe, and the place of our Solar System within it. 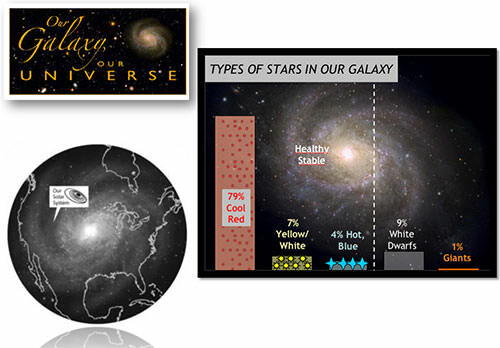 This ToolKit provides hands-on activities to answer common questions at the telescope: Why don't I see any color? Why is the image upside down? What power is your telescope? Why doesn't it look like the photos? Can you see the flag on the Moon? 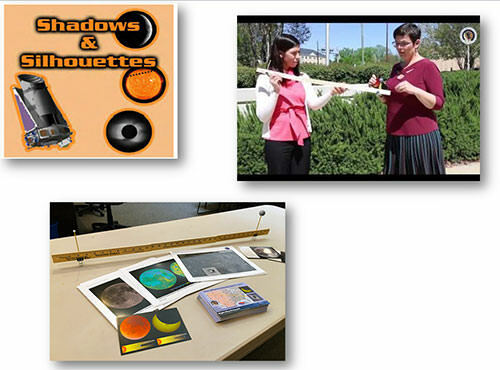 Hands-on activities on Moon phases, lunar and solar eclipses, transits, and Venus phases. Features NASA's Kepler Mission and provides activities to explore searching for planets orbiting in the habitable zone around other stars. 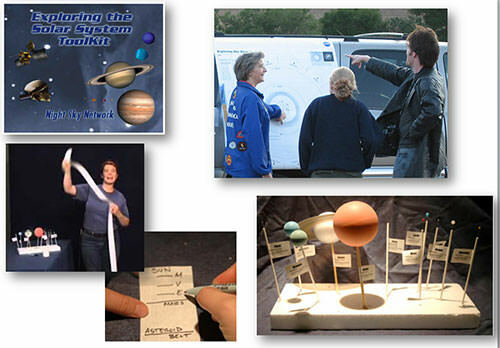 This ToolKit includes hands-on activities to show the structure of our solar System, including models for sizes and distances, and to connect what is seen in the sky with where the planets are in relation to Earth. The many NASA missions that explore our Solar System serve as an inspiration to children and adults. 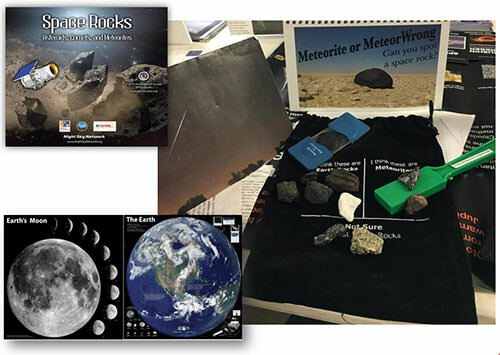 This ToolKit also provides activities that give an introduction to the many ways we can explore, learn, and discover: fly-bys, orbiters, landers, probes, sample returns. The SUPERNOVA! ToolKit tells the story of the lives of stars, cosmic radiation, and how Earth is protected from that radiation. Using marshmallows and macaroni, explain nuclear fusion and the radiation generated from a supernova explosion. 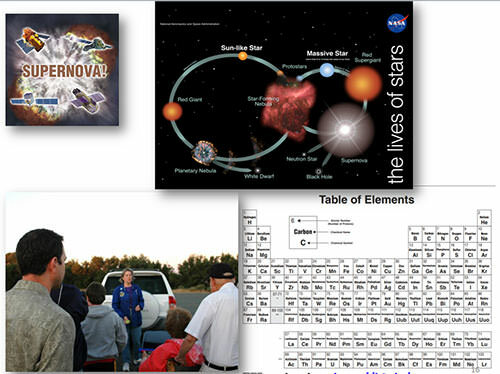 Use balls in an activity that illustrates what happens when a star explodes. Find the stars in the night sky likely to go supernova. Discover the importance of supernovae in the universe. Use the demonstrations in this ToolKit to answer questions that the public (or new club members!) may have about how telescopes work. 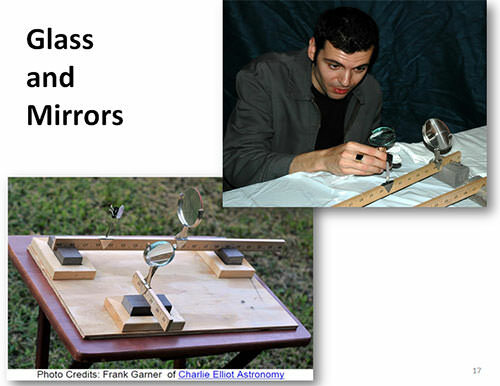 Show how both a reflector and a refractor work. Please note: While we no longer offer physical shipments oft the following kits, many of their resources are still available for free download at the links below. The search continues for planets around distant stars. Many have short orbital periods. If planets like Earth exist, with smaller masses and longer orbital periods, their discovery will require more sensitive instruments and years of precise, sustained observation. 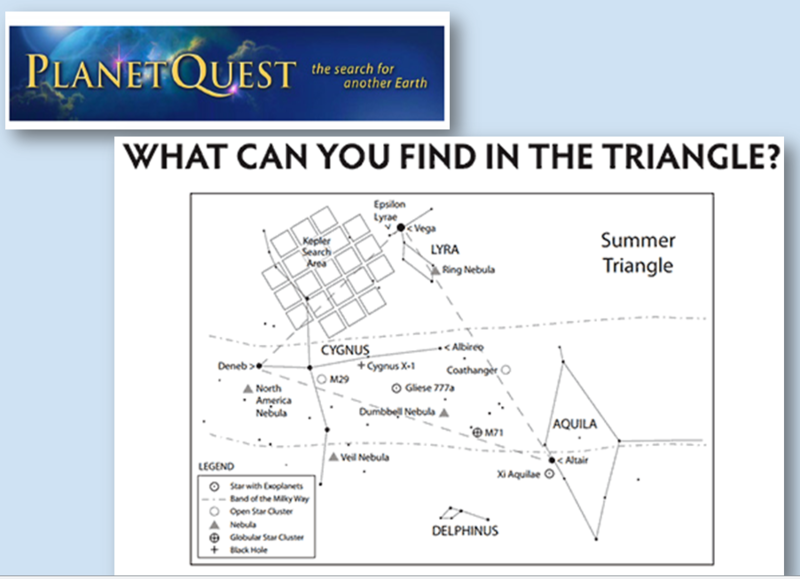 The PlanetQuest ToolKit provides activities designed to pique interest and answer visitor questions about the hunt for exoplanets. 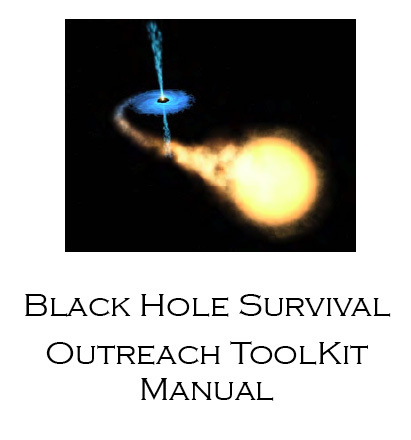 This Toolkit consists of hands-on activities and resources that are designed to address gravity in general and black holes in particular as an extreme form of gravity.